Travelers Rest is a small city located in Greenville County, South Carolina. Known by the locals as TR, the city earned its name due to its proximity to the North Carolina border. Travelers who were journeying across the mountains would stop in the town to rest and replenish. Recently, the city has undergone a major revitalization that brought many new points of interest, branding concepts, streetscapes, and other attractions. One of the most popular additions is the Swamp Rabbit Trail, a 22-mile greenway system that connects Downtown Greenville to Travelers Rest. The trail got its name because some sections run through wetlands. One of the nicest neighborhoods in Travelers Rest is Woodland Creek. Located along the Blue Ridge foothills, it offers the beauty of the outdoors with the conveniences of nearby Greenville. Built with the city’s revitalization plans in mind, Woodland Creek homes are new and modern. The average price in this neighborhood is $215,000. The premier neighborhood in Travelers Rest, tucked away in the foothills of the Blue Ridge Mountains, is The Cliffs Valley. No need to worry about urbanization! The surrounding forest is protected by the Nature Conservancy. The Cliffs Valley is home to the world-famous BMW Charity Pro-Am golf course, as well as Panther Mountain Park with 300 acres of private land and numerous hiking trails. Keowee Springs, Keowee Falls, and Keowee Vineyard offer endless opportunities to explore private shorelines and views. The average price within The Cliffs Valley is $1,111,875. See all homes for sale in Travelers Rest. Travelers Rest is the perfect fusion of nature and modernization. Relax outdoors or explore the burgeoning downtown shops and restaurants. 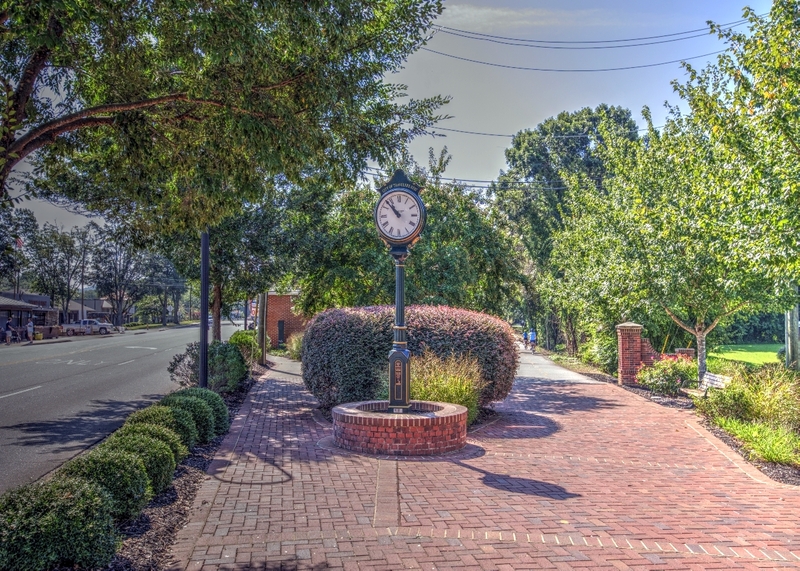 Plus, all of Greenville’s popular events and activities are just minutes away!